So You Want to Adopt; Should You Choose a Kitten or Cat? 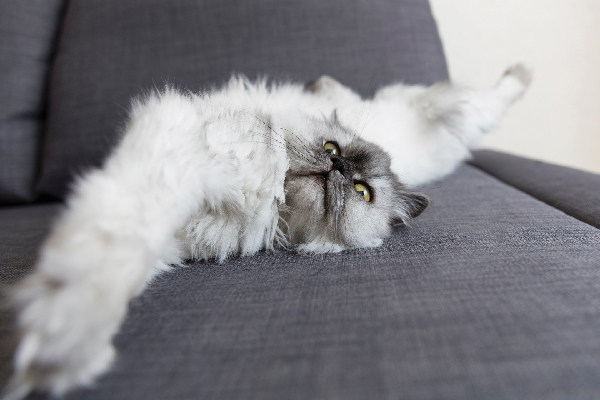 Adult cats or so-called special-needs animals can be great fits for certain people and homes. If you want to adopt a new feline friend, here are some things you should consider before you start looking. Do you want a kitten or an older cat? 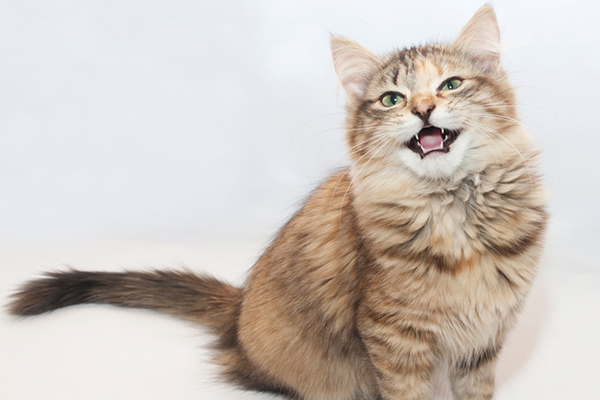 Must your adopted cat be perfect, or would you consider a cat that isn’t? Are there already animals in your home? What is your lifestyle? Kitten season has already begun in the warmer states, and it will soon follow in the rest of the lower 48. I agonize about our too-full shelters, wondering what will happen to all those left over from last year, grown now into adults. Will they be euthanized to make room for the incoming kittens, or will they be lucky and get adopted? What about the ones who have only three legs or one eye? Four beautiful unwanted kittens born on the street. Kittens, of course, are adorable and instantly push the “must have” button for many people. If you find those little furry faces irresistible, you adopt one, take it home — and then find out just how much work is involved with one tiny being. You find yourself looking forward to a time when you can safely leave your cell phone charging and not return to find the cord severed by tiny teeth. If you are set on a kitten, I suggest adopting two at the same time. It is the same amount of work, more than twice the fun, and emotionally healthier for the animals. The two entertain each other and are therefore less destructive. It is often easier to introduce a single or pair of kittens into a household where there is already a cat or dog; apparently the appeal of babyhood is universal. I would adore kitten season were it not for the heartache attached to the rescue/foster end of it. The success stories are what keep us sane and plugging away at our spay/neuter efforts. We have little problem finding homes for the little ones, but not so the older cats. This tame mom’s kittens were all adopted out, leaving mom behind. Before I began fostering feral kittens, I had always adopted adult neutered male cats. I never had any trouble introducing them into the family, even if another cat was already in residence. 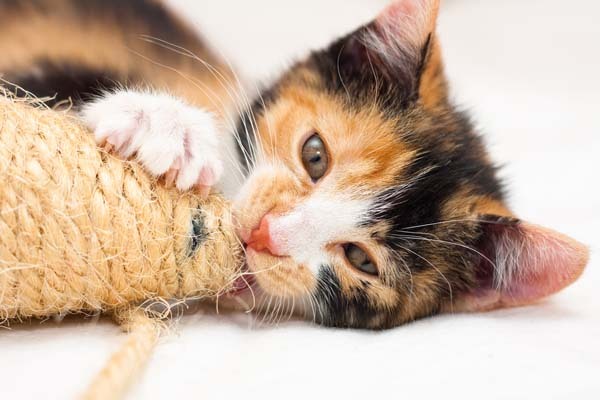 Adult felines come with benefits and can be equally as endearing as a kitten. They are definitely much less work. They arrive “trained” for laps, litter boxes, “here kitty, kitty,” and the sound of a can opener. “Previously owned” cats, though, languish in our shelters. They want someone to love them again and give them a home. Cage life is tough and lonely. Pairs of older cats often come in together; such cats need to stay together, in case you have room in your home and heart for more than one. 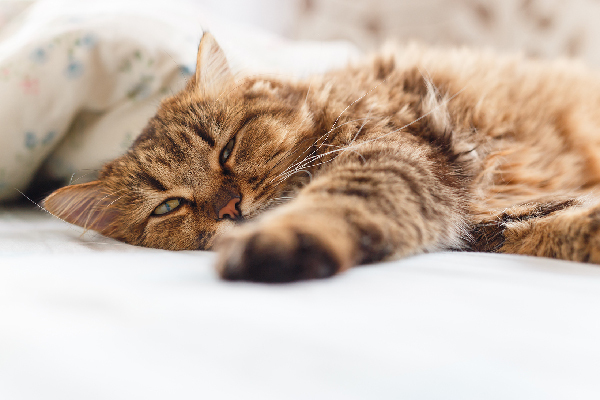 Unless the cat is still very young, the average adult feline will be sedate and easy to care for, ideal for an older person or an active, on-the-go household. Then there are so-called special-needs cats. I applaud those who bypass the kitten cages and ask about imperfect cats or those on the euthanize list who might be available. This is Uno, one of my one-eyed former foster kittens. A friend had two three-legged pets who managed just fine, including a Dachshund named Teddy who was not only missing a back leg but also was paralyzed from the hips down. He dragged himself around the room and up the low stairs to the couch, and even jumped to the floor unless caught in time. My dog, Maggie, didn’t treat him any differently than any other dog. The other family pet was a cat, also missing a rear leg. Mr. Fluffy was very depressed in the beginning, not knowing how to navigate his environment following surgery. After Teddy taught his feline brother how it worked, you couldn’t keep the cat down. He even scaled the six-foot fence in the backyard, appearing on the front porch asking to be let back inside. I visited one of my former foster kittens who has one eye. His adopter told me how Stitch insists on being outside,where he is an avid hunter, during daylight hours, leaving daily presents on the doorstep to prove his prowess. His remaining eye has an obvious corneal scar that blocks his peripheral vision leaving him with only about 30 percent total vision. I was gratified to find that Stitch remembered me, trotting into the house at the sound of my voice. He jumped into my lap, curled up and purred. His owner says he has not done that with anyone else. Amelia was another foster kitten of mine who needed both eyes removed at 10 weeks of age. She was a marvel as she played soccer with noisy toys and tore around the house like any sighted kitten. Successfully adopted out, she is thriving still after four years. Amelia frequently climbs this tall shelving unit to snooze within the display. Many years ago I had an old toothless cat who was still able to hunt. I once watched in awe as he swallowed a mouse whole. Later when he went blind from cataracts, he continued to roam the house with ease for several more years. One must marvel at nature’s adaptability and the burning will to survive exhibited by these animals. They don’t view themselves as “disabled,” so why should we? We label these animals as “special needs” pets, but are they really? Only a little extra care to be sure they are kept safe is usually all that is required. In the matter of being good companions, none come close, in my experience. They are certainly just as worthy of a good home as any other companion animal. The most important consideration is of course where to get your new pet. My first stop will always be a shelter. Where will yours be? As of now, I don’t have any pets in my home and I am looking to change that. I’ve always wanted a cat but I am stuck on the getting a kitten or a cat phase. Since I am gone for most of the day at work, I will probably go for an older cat as you did mention that a kitten would be a bit of work. I like that you mentioned not being afraid to adopt a cat that might be labeled disabled. These animals need love and affection too. It might be useful for me to keep this in mind since I have always wanted to adopt a cat. I’m glad you suggested that if we want to get a kitten, getting two will be the same amount of work while being emotionally healthier for the animals. My husband and I have been thinking about getting a kitten for our family, so I’ve been looking up some tips and tricks to help welcome our new buddy. I hadn’t heard that getting two is better for the kittens’ emotional health, so thanks for pointing that out! Great article . . . it’s made an impact on me to the extent that I will seriously consider adopting . . . an adult cat . . . with “special abilities” . . . like getting around the house without sight, etc. I like that you talked about how animals with a disability deal better with it if that’s how they have always been. I have been wanting to buy a new kitten for Christmas. I can see how it would be nice to find one that is used to any disabilities. That way I won’t have to worry about making any mistakes while caring for it.